HomePoliticsFull speech of V. Orbán : Will Europe belong to Europeans? 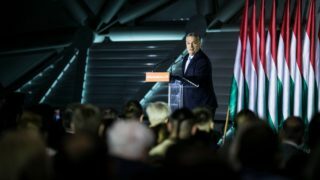 Full speech of V. Orbán : Will Europe belong to Europeans? 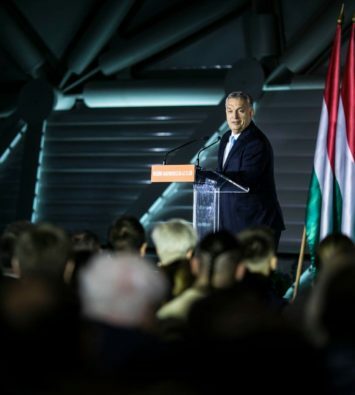 Hungarian Prime Minister Viktor Orbán: “First of all, I’d like to remind everyone that we started a process of collective thinking 27 years ago in Bálványosfürdő, a few kilometres from here. That is where we came to a realisation. Just think back: at that time, at the beginning of the nineties, most people – not only in Hungary, but also across the whole of Central Europe – thought that full assimilation into the Western world was just opening up to us again. The obvious approach was adjustment to that world: to in a way shed our skin and grow a new, fashionable Western skin. From this it followed that in our politics we would simply need to copy what they were doing in the West. Back then – 27 years, 28 years ago – we came together here, and we thought that we freedom fighters living on this side of the Iron Curtain could also have something valuable to say to a Europe which had by then been living in peace, freedom and prosperity for forty years. Back then we weren’t surrounded by television cameras, and our words commanded no attention whatsoever. Now, however, they do. And if I were to name the most important event, the most important Hungarian and European event of the past year – the twelve months since our last meeting – I would say that it is the strengthening of the Visegrád Four. Although there was a presidential election in the United States, and not so long ago the French presidential and parliamentary elections swept away the entire French party system – which are both important things – I’m convinced that the most important development of the past year has been the Visegrád Four cooperation becoming closer than ever before. We can say that Warsaw, Prague, Bratislava and Budapest are speaking with one voice. This is a great achievement, as these are countries which are very different in their characters. Here we have the enthusiastic Poles, the ever-cautious Czechs, the sober Slovaks and the romantic Hungarians; and yet we are able to speak the same language. We can be truly proud of this. These words would have been inconceivable anywhere in the Western world two years ago. This is the extent of the change that is taking place around us. This, perhaps, is the point at which I should greet Piotr Naimski and the Polish delegation led by him. 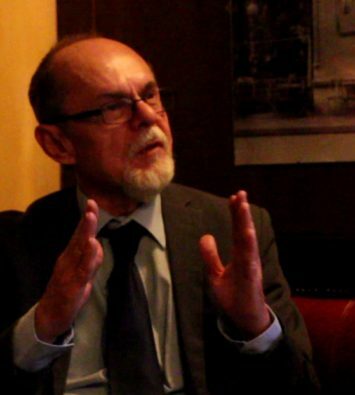 He is the President of the Hungarian-Polish Parliamentary Group in Warsaw. Welcome, Dear Polish Friends. Certain theories describe the changes now taking place in the Western world and the emergence on the stage of the US president as a struggle in the world political arena between the transnational elite – referred to as “global” – and patriotic national leaders. I believe that this is a meaningful description, and there’s much truth in it. If we relate it to ourselves, we can also say that back in 2010, well before the US presidential election, we were forerunners of this approach, the new patriotic Western politics. We ran quite a distance ahead of the others, and in politics those who run further ahead are not greeted with recognition, but with something quite different. If they can endure it, however, they may well earn their recognition, just as Hungary is earning increasing recognition. 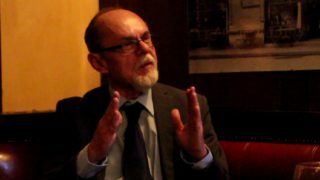 The essence of the matter is that in this struggle – the struggle between political representatives of the global elites and political leaders and countries with patriotic feelings – Hungary is on the right side: on the side of patriots. The question the US president was asking – and the one we also asked in 2010 – was this: What goal could patriotic governance have, other than to strengthen our own community, nation and country? In 2010 we Hungarians also decided that we wanted to regain our country, we wanted to regain our self-esteem, and we wanted to regain our future. Preparing for this speech today, I tried to summarise point by point what it is that makes a nation strong: what it is that constitutes a country’s strength in the world today. I identified around a dozen points. I’d like to briefly introduce these to you, to demonstrate the distance that Hungary has covered since 2010 on the path of consolidation. First of all, a strong nation and a strong country doesn’t live on someone else’s money. Therefore it thanks institutions like the IMF for their help, and bids them farewell: it sends them packing, and hopes that they will never have to meet again. This is what took place in Hungary. Don’t forget, before 2010 the socialist governments hooked Hungary to an IMF life support unit. The trouble with life support machines is that while there’s no doubt that they aid survival, the patient is physically tied to them. After 2010 we managed to solve this problem, and as a result Hungary achieved a breakthrough in perhaps the most important aspect of strength: financial independence. A strong country is one whose finances are in order. No country is strong if its budget deficit is excessive; no country is strong if its businesses are at the mercy of creditors; and no country is strong if its population has been lured into debt traps, such as the ones that Hungarians found themselves when they took out foreign currency loans. Step by step Hungary managed to address all these issues. A strong country has sound economic performance. In the modern world this is described by resort to the term “GDP”. If there is growth, there is a strengthening economy. Today economic growth in Hungary is around twice the European Union average. A country is strong if it’s able to provide jobs for everyone who wants to work. Few countries in the world today are capable of this. We are one of them. I’d like to quote some figures on this. In 2010, out of a population of ten million, three million six hundred thousand Hungarians people were in employment, and one million eight hundred thousand paid taxes. It was nothing short of a miracle that we managed to survive. Today in Hungary four million four hundred thousand people are in work, and four million four hundred thousand pay taxes. This is another reason why Hungary is financially strong. A country the size of Hungary – not the size of Germany or the United States, but similar in size to us – can only be strong if there is robust majority national ownership in the strategic industries which determine its fate. This wasn’t the case in Hungary before 2010. Now, however, we can say that there is clear majority national ownership in the energy sector, the banking sector and the media sector. If I had to quantify this, I would say that in recent years the Hungarian state has spent around one thousand billion forints on repurchasing ownership in strategic sectors and companies which had previously been foolishly privatised. For a country to be strong, demographic decline must be out of the question. At this point in time, this is Hungary’s Achilles heel. A country which is in demographic decline – and, to put it bluntly, is not even able to sustain itself biologically – may well find that it is no longer needed. A country like that will disappear. Only those communities survive in the world which are at least able to sustain themselves biologically; and let’s be honest with ourselves, Hungary today is not yet such a country. We must also admit that on demographic issues – the creation and growth of families – the hands of the government of the day are tied. This is because no policies of any kind can decide whether or not there will be children in a community, whether children are being born into families – and if so, how many. This is because only women can make such decisions. Things will be what women decide them to be. So what can a government do? A government can do one thing: seek to create a family-friendly environment. In this context there is an important fact we don’t usually talk about, but perhaps I’ll do so now – maybe the occasion will allow me to do so. Many of you may have noticed that in Hungary we spend an enormous amount of money on the promotion of families, in the interest of a strong Hungary. The question is this: where does that money come from? The truth, Ladies and Gentlemen, is that we take this money from multinational companies. If it wasn’t immodest, I could also say that I take it from the multinationals, because at the outset not many people other than me were in favour of this fine move. So we take this amount out of the profits of multinational companies in the form of a number of special taxes, and we then give the money to families raising children. The annual amounts we take – and now I’m referring to this year and last year – are as follows: 272 billion forints from the banking sector; 31 billion from insurance corporations; 120 billion forints from the energy sector; and 55 billion forints from the mass communications, the telecommunications industry. This all comes to around 500 billion forints annually. Then we take this money and distribute it as follows: 272 billion forints in the form of family tax allowances to working people raising children; 74 billion forints for free children’s meals; 5 billion forints for holidays for children in need; free school textbooks – I can’t give you the precise figure, because its continuously increasing; and 210 billion for housing allowances supporting parents raising children. This is what adds up to demographic policy, the family support policy that I’m talking about. In practice the funds for this were not previously available. When Zsolt Semjén says that the Hungarian government is Europe’s most Christian democratic government, this is what you should bear in mind. We take part of the large profits being generated in order to give it to those who are both working and raising children – and thereby providing for the future of the nation. If we speak about a strong country, we must also mention public security. Today this means two things in particular: defence of the borders, and the ability to prevent terrorist attacks. There is no strong culture without a cultural identity. However much of a taboo one is breaking by saying it, there is no cultural identity in a population without a stable ethnic composition. The alteration of a country’s ethnic makeup amounts to an alteration of its cultural identity. A strong country can never afford to do something like that – unless some global catastrophe forces it to do so. In the modern world there can be no strong community or strong state in a country without growth in science and innovation, and without the ability to open up to the industries of the future. I’m not saying that we’ve already arrived at this position, but over the past seven years we’ve at least knocked on the doors of the new industries of the future. In our case there will be no strong Hungarian community and no strong Hungarian state if we’re unable to rally Hungarians around the world into a single community. Without going into detail, I’d just like to say that Hungary can only be strong if it is organised in such a way worldwide that whenever in any part of the world a Hungarian has their toes trodden on simply because they are Hungarian, a red light flashes in Budapest. Once we’ve achieved that, then Hungary will be a strong country. Hungary is also strengthened by being part of stable alliances, as a member of the European Union’s huge single market and also of NATO, the world’s largest military power. Bishop Tőkés mentioned the World Aquatic Championships. I don’t want to talk about that event now, but rather about the fact that another precondition for the strength of a modern state and community is that it should be able to host the world’s great events. Looking at Budapest, we can see that from Vienna to Istanbul it is the point – perhaps the only point – which can claim to be a cultural creation. This is because Budapest – as you well know – is not just a city, but a Hungarian cultural creation: an imprint of the Hungarian genius embodied in architecture and city planning. So Budapest is the place which is currently proving to itself and the world that there’s no world event – be it a sporting or cultural event, or a religious event such as the International Eucharistic Congress – which it couldn’t host. Apart from the FIFA World Cup, which is another matter, there’s no major world event that is beyond Budapest’s capabilities. This is great knowledge, great strength, and a major promise for the future. I could also say that our capital is capable of more than just serving the Hungarian state. There’s one other thing, Ladies and Gentlemen, which we need for strength, and that we only have to a limited extent: it’s called an army. While concentrating our resources on surviving the economic crisis of recent years, we’ve failed to develop our armed forces. In a few years’ time, when we talk about the strength of Hungary, and whether the Hungarian nation is strong, I’m sure that we’ll also be able to add to our list of arguments a strong Hungarian army: an army that will be able to defend Hungary from all external attacks. This is why we’ve launched an armed forces development programme, and have recently started construction of the first factory for the Hungarian arms industry. For the future, we must support all these processes. There are three areas in which it is not enough to support processes, but in which we need a shift in scale, and the move to a fast track. One area is demography, in which we haven’t even reached a break-even point. It is some improvement that for married couples – or male-female couples in general – the fertility indicator expressing the nation’s demographic situation has risen from 1.2% to 1.44%, and this is promising, but 1.44 is still very far from 2. In order to feel safe demographically, the average statistical ratio of children to Hungarian couples should be 2.1. In practice this is hard to implement, but this is the average figure we should have. Until we reach that point, Hungarians must be seen as an endangered species demographically; and the people – but the Government above all – should understand the imperative which is implicit in this. So in the area of demography we need a shift in scale, and development at a higher rate. I believe that this is what we need in terms of the nation’s organisation. In the period ahead we must dramatically intensify organisation of the Hungarian community in the Carpathian Basin – and in particular its economic strength. And the third area in which we need a shift in scale is integration of modern technology into the Hungarian economy. To do this we must participate in the new industrial revolution much more actively than we do at present. So much for Hungary. Now I would like to say a few words about Europe. I apologise if today I seem to be dealing solely in simplifications. It’s not that I’ve lost my appetite for intellectual nuance, but the fact is that it is also possible to talk about these things in such simple terms. 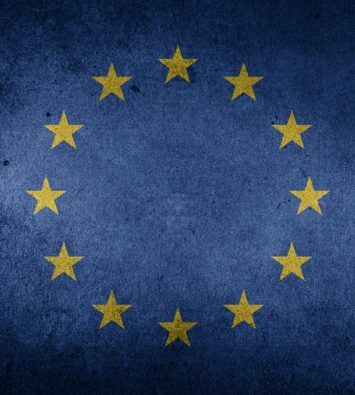 Over the next few decades the main question in Europe will be this: will Europe remain the continent of the Europeans? Will Hungary remain the country of the Hungarians? Will Germany remain the country of the Germans? Will France remain the country of the French? Or will Italy remain the country of the Italians? Who will live in Europe? This is a historical question which we must face up to today. As regards the specific situation – and this is quite telling about the world that we live in today – there’s no concrete, reliable information on the percentages of traditional indigenous Christians and the incoming Muslim communities living in Europe’s individual countries. In practice it is forbidden to gather information like this. And the data which is gathered is not adequate for us to predict what the future holds for us, as migrants, immigrants, are not evenly distributed throughout the different age groups. So the general figures say little about what awaits us. We should focus most on people under the age of 15, and also those between 15 and 45. From those figures we can project, we can calculate, what the situation will be like in each country in, say, 2050. Sparing no money and effort, every year the Hungarian government commissions an extensive international survey in order to find out what the European people think about these issues. This is not about what their leaders think, because we know that. The suspicion is that the opinions of the people don’t coincide with those of their leaders. This year’s survey showed that, across the 28 European Union countries, 81% of EU nationals thought immigration to be a serious or very serious issue. At a pan-European level, 64% believe that immigration leads to increased crime, and 59% believe that immigration changes the culture we live in. As regards the performance of Brussels, 76% of European nationals say that Brussels’ performance on immigration is poor. 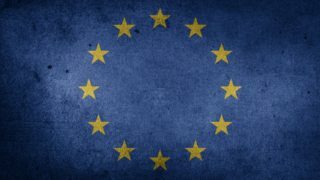 When asked whether more power should be given to Brussels to resolve this situation, or if nation states’ powers should be strengthened instead, we find that 36% of European citizens expect a solution from Brussels and would give it more power, while 51% expect nation states to provide solutions. In Hungary, 25% of our fellow citizens – and this is not an insignificant number, as we’re talking about every fourth Hungarian – believe that more power should be given to Brussels. But luckily 61% of our fellow citizens think that Brussels should have less power, and we should even take back those powers that we previously transferred to it – or at least some of them. Naturally, when considering the whole issue of who will live in Europe, one could argue that this problem will be solved by successful integration. The reality, however, is that we’re not aware of any examples of successful integration. It’s obvious that migration is not the answer to economic problems and labour shortages. Interestingly, people in Europe are least concerned about migrants taking their jobs. This probably reflects some form of personal experience. I can believe there are desperate situations, just like a castaway on the ocean finally giving in to the urge to drink seawater: it’s water, but it doesn’t quench one’s thirst, and only adds to the problem. This is more or less the situation in which those who want to cure their economic ills with immigrants will find themselves. In countering arguments for successful integration, we must also point out that if people with diverging goals find themselves in the same system or country, it won’t lead to integration, but to chaos. It’s obvious that the culture of migrants contrasts dramatically with European culture. Opposing ideologies and values cannot be simultaneously upheld, as they are mutually exclusive. To give you the most obvious example, the European people think it desirable for men and women to be equal, while for the Muslim community this idea is unacceptable, as in their culture the relationship between men and women is seen in terms of a hierarchical order. These two concepts cannot be upheld at the same time. It’s only a question of time before one or the other prevails. Of course one could also argue that communities coming to us from different cultures can be re-educated. But we must see – and Bishop Tőkés also spoke about this – that now the Muslim communities coming to Europe see their own culture, their own faith, their own lifestyles and their own principles as stronger and more valuable than ours. So, whether we like it or not, in terms of respect for life, optimism, commitment, the subordination of individual interests and ideals, today Muslim communities are stronger than Christian communities. Why would anyone want to adopt a culture that appears to be weaker than their own strong culture? They won’t, and they never will! Therefore re-education and integration based on re-education cannot succeed. There’s a question which frequently emerges in European politics: the question of solidarity. First of all, I’d like to make it clear that in European culture solidarity is not an end in itself, but merely a means to an end. In European culture the end to be achieved is for the people born into that culture to live in peace, security, freedom and prosperity, in line with their own values and beliefs. This is the end, the goal of European culture. Solidarity is just a means to that end. The means cannot be substituted for the end. What is the conclusion to be drawn? It is that we can never show solidarity with ideologies, peoples and ethnic groups which are committed to the goal of changing the very European culture which forms the essence, meaning and purpose of the European way of life. We must not show solidarity with groups and ideologies which oppose to the aims of European existence and culture, because that would lead to surrender. Here I should add that, while we don’t want to get involved in the German election campaign, there are some German politicians who are doomed to fail – and now teetering on the verge of complete defeat – who hope to achieve some improvement in their popularity by making mischief at the Hungarians’ expense, by provoking us and insulting us, and accusing us of a lack of solidarity. In fact I could even see this as a compliment. At this point I should perhaps add two things. 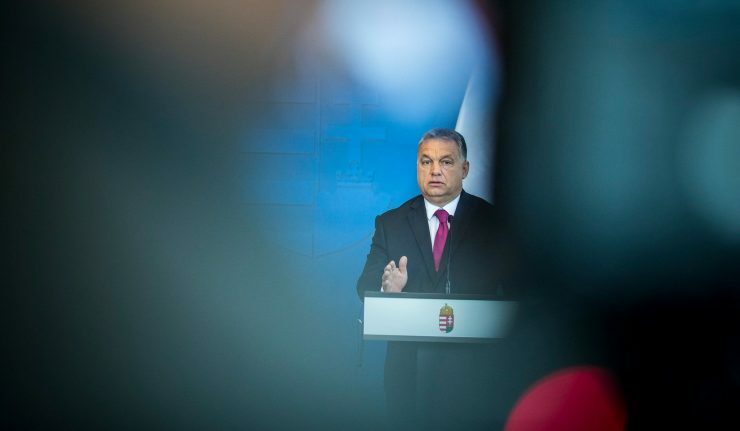 The first is that Hungary has defended itself – and Europe at the same time – against the migrant flow and invasion, and this has cost us 260–270 billion forints. The EU has reimbursed a tiny fraction of this sum. I could also say that the EU shouldn’t speak of solidarity until they’ve paid the 250 billion forints that they owe us for defending Europe. Until then, I suggest that they exercise more modesty. Similarly, a German in particular should think five times before accusing the Hungarians of a lack of solidarity. If I were German, I would think five times before using that word to attack Hungarians, as factory workers in Germany receive five times as much pay as Hungarian workers doing the same jobs in German-owned factories in Hungary. So for as long as this is the case, I believe that it is shameful for the Germans to talk about solidarity. in addition to all this, I believe that this is an unfortunate and misguided debate, because it runs counter to the logic of mutual investments, capital flow and job creation prevailing in the European Union. So it’s also incompatible with one of Europe’s values. If the picture that I have drawn for you is not distorted, but faithfully reflects reality, after this we must now assess its consequences for the political elite. Well, I have to say that in Brussels an alliance has been forged against the opinion of the people. The members of this alliance are the Brussels bureaucrats and their political elite, and the system that may be described as the Soros Empire. This is an alliance which has been forged against the European people. And we must recognise that today George Soros can pursue his empire’s interests more easily in Brussels than he can in Washington or Tel Aviv. This is why he has formed an alliance with Brussels. As usual, when the leaders – when the members of the great political elite – turn against their own people, there is always a need for inquisitors to launch proceedings against those who voice the opinion of the people. In our earlier four-year term, the European Union had a grand inquisitor, and her name was Madame Reding. That grand inquisitor failed, and now they’ve found a new one: the new grand inquisitor’s name is Timmermans. He is a commissioner. It give us little satisfaction to see that the grand inquisitor’s energies are inadequate for two countries at the same time, and so now he has devoted himself to Poland instead of us. But at this point in time, Poland is chosen as the inquisition’s main target in order to weaken, to destroy, to break national governance. I’d like to make it clear that Hungary naturally pursues its own national interests, but these interests include Europe and Polish-Hungarian friendship; and we must make it perfectly clear that a campaign of inquisition against Poland will never succeed, because Hungary will resort to all the legal mechanisms offered by the European Union in order to show its solidarity with the Polish people. What follows from this, Ladies and Gentlemen? First of all, it follows that we must see things clearly and we mustn’t overcomplicate things. We mustn’t think of the struggle facing us as being against a global conspiracy, but we should describe it and consider it in the most reasonable manner possible. This is how it is: there is a Soros plan. It comprises four points. He wrote it down himself, the Soros Empire published it and began recruitment for implementation of the plan. The plan says that every year hundreds of thousands migrants – and, if possible, a million – should be brought into the territory of the European Union from the Muslim world. The second point is that upon arrival every one of them should be given an amount in euros equivalent to four and a half million forints. The author of the plan would gladly finance this – but that is secondary, although it’s something that’s worth pondering. However, it’s not this, it’s not the business profit that’s the essence of the proposal, but the fact that in this way it’s possible to maintain a continuous influx. So those who want at least a million migrants to come in every year must maintain this mechanism – which in European political terminology is called a “pull factor” – so that they continue to come. And if they distribute them and everyone receives a sum – which is, in fact, higher than the Hungarian annual average wage – there won’t be a problem with reduced flow. The third point in the Soros plan is that the migrants arriving on the continent will have to be distributed among the countries of Europe as part of a mandatory and permanent mechanism. The fourth point is that a European immigration agency should be set up which will take all the decision-making powers related to migrant affairs away from the nation states and raise them to the level of Brussels. This is the Soros plan. Now if we speak about the future of Europe, we must first state in no uncertain terms that in order for Europe to be able to survive and remain the Europeans’ continent, the European Union must regain its sovereignty from the Soros Empire. Until that happens, we have no chance of retaining Europe for the European people. After that, once we’ve regained our sovereignty we should reform the European Union. This is not the main topic of my speech today, and so I’ll only talk about it in general terms. The first and most important thing is that the European Union’s so-called Commission should be redirected to the role designated for it by the Treaties which founded the European Union itself. The Treaties clearly stipulate that the Commission is not a political body. It has a single task, a task which makes it a kind of watch dog: it is the custodian of observance of the Treaties. Therefore, although the nation states delegate commissioners to the Commission, after this their national links are broken, and for as long as they are in the Commission these people are required to ensure that the European Treaties are observed. This is not happening today. The situation today is that the Commission defines itself as a political body. President Juncker himself said that he will establish a political body which will play a political role. This is the source of all the problems, all the problems suffered by the nation states in the European Union today. This is why, despite my veto of the migrant relocation quota system in the Council of Prime Ministers – where unanimity is required – the Commission manipulated the system by starting a legal procedure which could be approved with only four fifths of the votes of the Member States; and so my single veto, Hungary’s veto, didn’t count. We were cheated and deceived, and they shook the foundations of trust which had previously been the common base of the 28 prime ministers of the European Union. This is the political role which the Commission should immediately withdraw from. Once this is done, we must make it clear that the reform of Europe can only start with stopping the migrants, putting an end to immigration, and everyone using their national competence to protect their borders. After that, as part of a joint programme the migrants who have already arrived in Europe illegally must be transported back to some place outside the territory of the European Union. This sounds harsh, but those who came in illegally must be transported out of the territory of the European Union. Once that’s done, we need to acknowledge that the British are leaving the European Union, and taking one of the world’s largest armies out of the European Union. And while we are strengthening cooperation within NATO, we must realise that the European continent must not be left militarily unprotected, and that it cannot hope for protection from anyone else. The presence of the Americans is important and NATO membership is important, but Europe must have its own military capability with which it can protect itself. In other words, we must start building a European military force. Parallel with this, we must realise that in the world economy the economic competitiveness of the European Union is in continuous decline. We must restore our competitiveness. This means reducing debt, and introducing flexible terms of employment. Once we’ve done that, our Western European friends, who are tired of enlargement, must frankly admit that there will be no peace in Europe without the full EU integration of the Balkans. We must therefore enlarge the European Union, and must first of all admit the key state, Serbia – however absurd this idea may appear at this point in time. And once that’s also done, we must conclude two overarching, historical agreements which have economic, military and political dimensions. We need a historic agreement with Turkey, and we need another historic agreement with Russia. Once all that’s done, we can say that we have reformed the European Union, and that over the course of the next few decades it may be able to compete with the world’s other continents. In summary, where do we stand in Europe today? My summary conclusions are as follows. 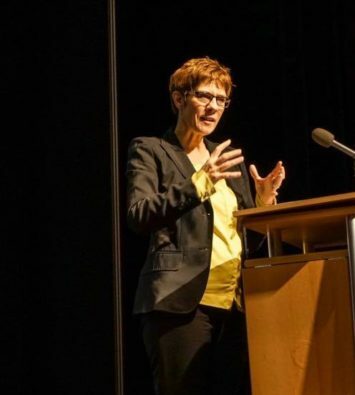 Christian democratic parties in Europe have become un-Christian: we are trying to satisfy the values and cultural expectations of the liberal media and intelligentsia. 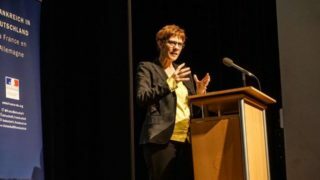 The second important aspect is that left-wing politics has lost ground, and the social democratic parties are themselves no longer social democratic. They have lost the proletariat, if I can put it that way. The numbers and power of organised labour have fallen, mostly because many industrial jobs have been relocated outside the European Union, and therefore not even social democratic parties are what they once used to be. They’ve married themselves to global business interests representing neoliberal economic policy, and now they have a single policy area, they’re concentrating on a single area: preservation of their influence over culture. This is the second important element in Europe today. And the third important thing is that Europe is currently being prepared to hand its territory over to a new mixed, Islamised Europe. We are observing the conscious step-by-step implementation of this policy. In order for this to happen, for the territory to be ready to be handed over, it is necessary to continue the de-Christianisation of Europe – and we can see these attempts. Priority must be given to group identities rather than national identities, and political governance must be replaced with the rule of bureaucracy. This is the aim of Brussels’ continuous and stealthy withdrawal of powers from the nation states. This is the situation in Europe today, Ladies and Gentlemen. This is the battlefield on which Central European countries are fighting today. Finally, I’ll come back to our own homeland. This is our last Tusnádfürdő meeting before the next general election in Hungary. This is all very well – and even if it’s not, that’s the way it is. In a good scenario, what I’ve just said is an accurate description of the state of Europe and the world, and the changes that have taken place. But for us the upcoming Hungarian election takes priority, here and now, above everything else. I’d like to say a few words about this now. What is at stake in the next Hungarian parliamentary election? First of all, I’d like to say that the Hungarian election next year could be special because it will also have consequences for Europe. We shouldn’t forget that Hungary – with the aid of the V4, for which we are grateful –was the country which stopped the migrant invasion flooding into Europe. And I made it clear earlier, and I’ll repeat this now: for as long as I am the Prime Minister of Hungary, at the head of the Fidesz and Christian Democratic government, the border fence will remain in place and we shall protect our borders. And in doing so we shall also protect Europe. In contrast to this, the opposition in Hungary openly states that they’ll dismantle the fence and let immigrants into the country. They will agree to the full and mandatory distribution of migrants in Europe, and in this sense they’re ready to consign Europe to a new European future with a mixed population. This contrast between the Hungarian opposition and the Hungarian governing parties illustrates what is at stake for Europe in the next election. There’s another debate that adds to the stakes for Europe, and in which there’s also a sharp dividing line between the Hungarian governing parties and every Hungarian opposition party. This centres on whether we should give power to Brussels. We take the view that Brussels must restore to us the powers which they have taken from us by stealth – and which, I think, they swindled from us illegally. By contrast, the opposition – whether the socialists, the far right or the liberals – all say that we must give Brussels more power, because on the big questions there are only European solutions, common European solutions. This means that they want to hand over to Brussels increasing power over the direction of the country. This also lends a European dimension to the Hungarian parliamentary election. But in our election the stakes will also be high for Central Europe. You can see that both the Brussels bureaucrats and George Soros have a vested interest in weakening Central Europe, as today the primary obstacle to implementation of the Soros plan is that on Hungary’s southern borders we closed the migrant land routes leading to Europe. Then the Serbs also closed their southern borders, and so did the Macedonians. With support from the V4, we are the obstacle to implementation of this plan. There are therefore forces in Europe which want to see a new government in Hungary replacing the current Hungarian government, because this is how they could most seriously weaken the V4. And we should be under no illusions: unless a Christian democratic government is formed in Hungary, the next government will weaken the V4, and will thereby weaken Central Europe. Consequently, there is also much at stake for Central Europe in the Hungarian election. And finally, there is also something at stake for the Hungarian people in the Hungarian election. At the beginning of my speech I pointed out what we should do in order to strengthen Hungary. I won’t repeat that, I won’t go into detail, but all I’ll say is that if the Hungarian civic, national, Christian forces don’t win the next election, we could lose everything that over the past few years Hungary has worked so hard for – with blood, toil, tears and sweat. And this means, Ladies and Gentlemen, that for the Hungarians, in Hungary, an era could return which is one of destruction, rather than of building. One shouldn’t forget that to build something is a difficult process which takes a long time, while destroying something is easy and can be achieved quickly. I can now tell you objectively that not since the Treaty of Trianon has Hungary been as close as it is today to regaining its strength, prosperity and prestige as a European country. And not since Trianon has our nation been as close as it is today to regaining its self-confidence and vitality. And I’m also certain that if Hungary once again has a government that serves foreign, global interests, the Hungarians could again lose this historic opportunity – not just for a single election cycle, but for decades. If our Hungarian community is in danger in the motherland, if Europe is in danger in Hungary, what will happen to the Hungarians beyond the borders? A strong motherland is the most important precondition for the success and survival of Hungarian communities living beyond today’s Hungarian state borders. Parties which weaken the motherland will also be unable to offer good policies, opportunities and a future to the Hungarian communities living beyond our current borders. They are not your friends, Ladies and Gentlemen. I therefore ask everyone to register and to vote in the election. Please don’t just support your team from the sidelines, but run onto the pitch – because now you also have a say in the outcome of the Hungarian election struggle. And finally, I should also say a few words about our opponents, because this time our real opponents will not be the domestic opposition parties. Everyone can see that in recent years a strong and determined unity on national affairs has been forged; in the sophisticated language of politics, we’ve called it the “central field of power”. The opposition parties don’t know how to cope with this field of power, with this national unity. In the campaign facing us we’ll primarily have to stand our ground against external forces: in the next nine months we’ll have to stand our ground against Soros’s mafia network and the Brussels bureaucrats, and the media operated by them. We know their methods, and in this they can’t have too many surprises in store for us: financial blackmail, political threats, this report and that report, media campaigns, smear campaigns, infringement procedures, this article and that article. We have been subjected to rhetoric which has been coarse, and at times demeaning. We should also note, however, that Hungary has defended its own interests and has given answers in a calm and civilised manner – indeed, I could say, in a European style. During the election campaign I’m convinced that we’ll also be capable of this. In summary, I can close my speech with a single sentence. Twenty-seven years ago here in Central Europe we believed that Europe was our future; today we feel that we are the future of Europe. Pingback: Will Europe belong to Europeans? I agree that the V4 are holding the line in protecting t the Eurtopean identity. The assimilation of immigrants who refuse to assimilate to their host countries traditions will dilute those traditions as the immigrants gain greater voting power. Many immigrant neighborhoods in France and elsewhere have become hostile zones rather than cultural adventure centers for dining and entertainment. I think Mr. Trump’s trip to Poland was more important than his meetings with the G-20 leaders or Mr. Putin. Piszok jó lenne, ha magyarul is olvashatnám, tisztességes fordításban. I by my self think, that hungary has a great President, he know how he run a country, if I would be junger, I would immigrate to hungary. Hungary is a lovely country, every one should make a holyday. I wish the hungary peoples all the best for the furture.